Love your lips! Finally, the long wear lipcolor you'll love to wear. This collection of radiant, high potency colors, with up to 6 hours of wear, is surprisingly featherlight, offering delightful comfort. Discover the lipcolor that describes you best and let your lipcolor show your mood, any time of the day. 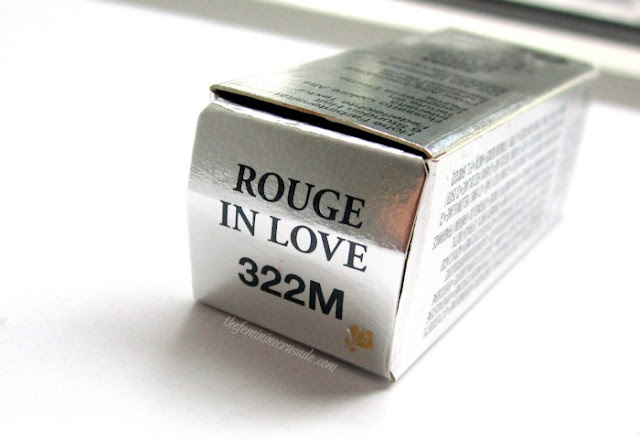 Lancome Rouge in Love Lipsticks are categorized into three moods. Jolis Matins the M shades are fresh, everyday colours. Boudoir Time the B shades are bright, cocktail hour colours. And Tonight Is My Night are intense, night-time colours identified with N. I have the a Jolis Matin shade 322M called Corail in Love. Bright yet soft! 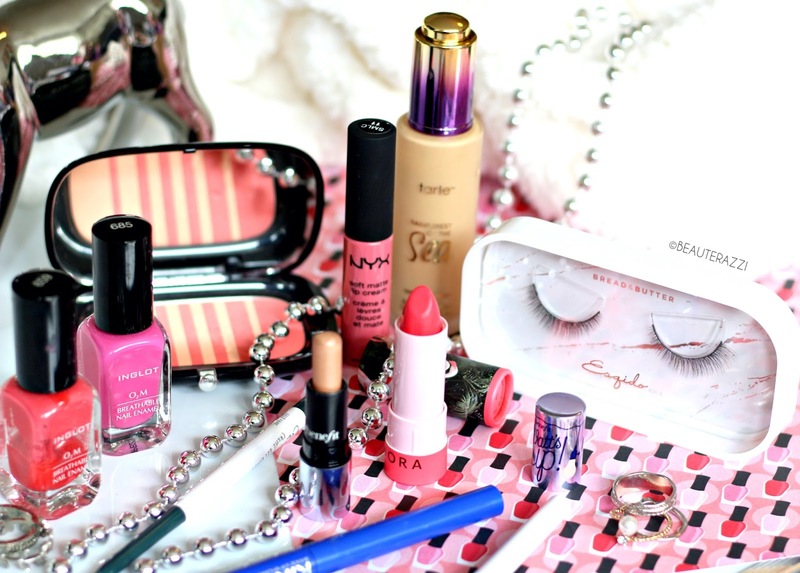 A perfect girly lipstick. My husband surprised me with this divine lipstick one day and then I did not know whether to squeal in delight or fear the colour that will emerge out of the tube. But bless him, it did not turn out to be the latter. I twisted the lipstick to reveal a beautiful pinky coral bullet. 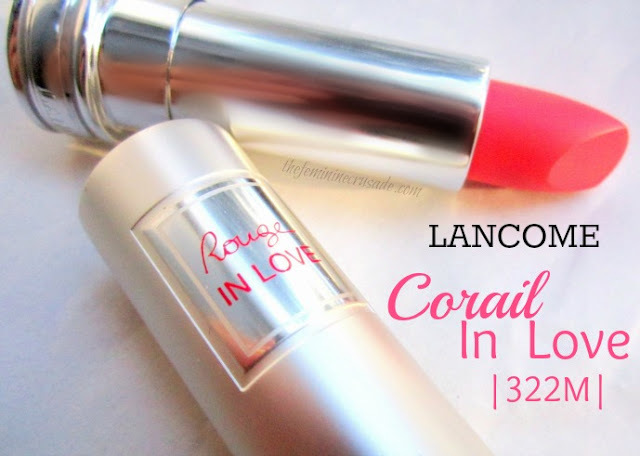 Corail in Love has a fair amount of peachiness, a hint of coral-ness and a pink which is flattering, feminine and soft. 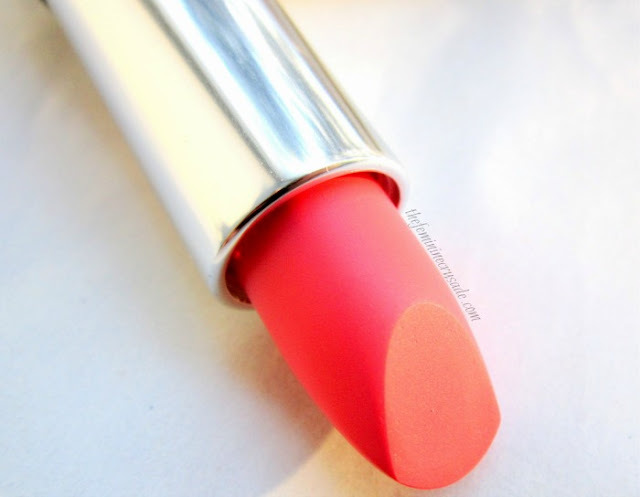 Despite its softness, it is also bright which makes it perfect fresh, girly, everyday lipstick. 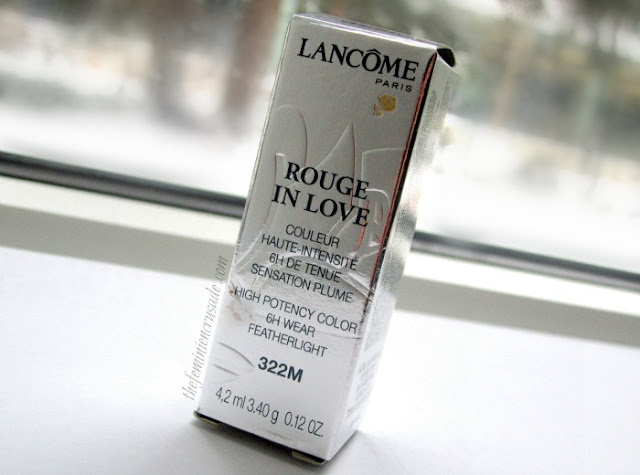 I simple love the classy silver Lancome packaging. The lipstick is a cremesheen formula. 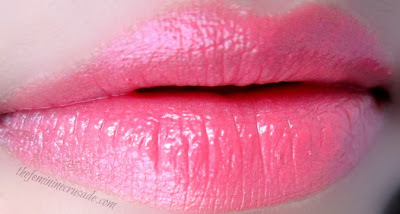 It is gloss-like, applies like butter and feels absolutely weightless. 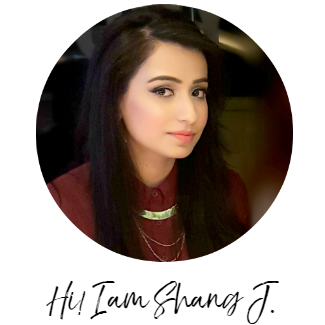 It is very pigmented in its shade, giving medium coverage. It is super duper moisturising, literally feels like a lip butter. The lasting power is simply amazing for such a glossy formula. It lasts for 5-6 hours on my lips.